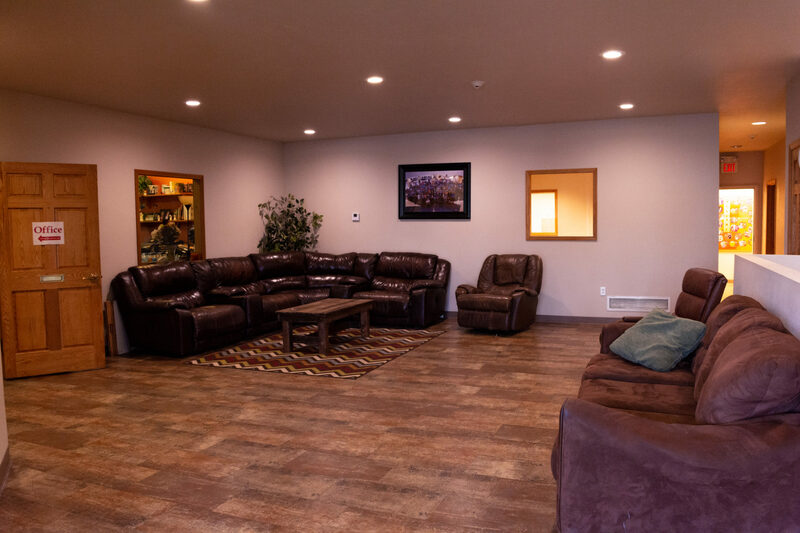 Our men’s residential facility was completed in the fall of 2000 with an addition which was completed just in time for the spring of 2015. 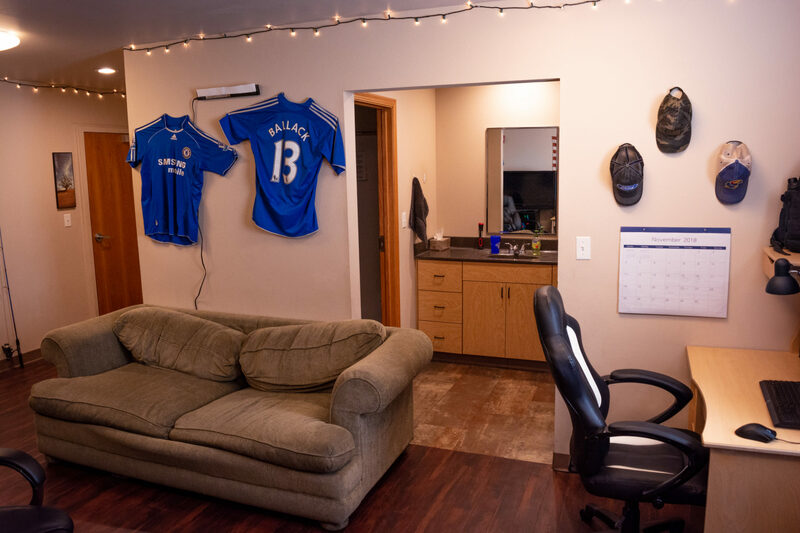 The house provides housing for 64 male students. We are approved by S&T as student housing which allows us to house all students – from incoming new freshmen to grad students. The CCH is much cheaper than on-campus residency. It is $1800 for old-side rooms and $2100 per semester in our new suites. Cost is not the only draw to the CCH though. With a good mix of older and incoming students, the fellowship experience can be invaluable to your christian walk. The CCH is central to the entire CCF community. With over 200 students, this provides an excellent opportunity to fellowship with many other Christians. The CCH has 16 spacious bedroom/suites holding 4 residents each. Each resident gets his own wardrobe/closet, bed and desk. 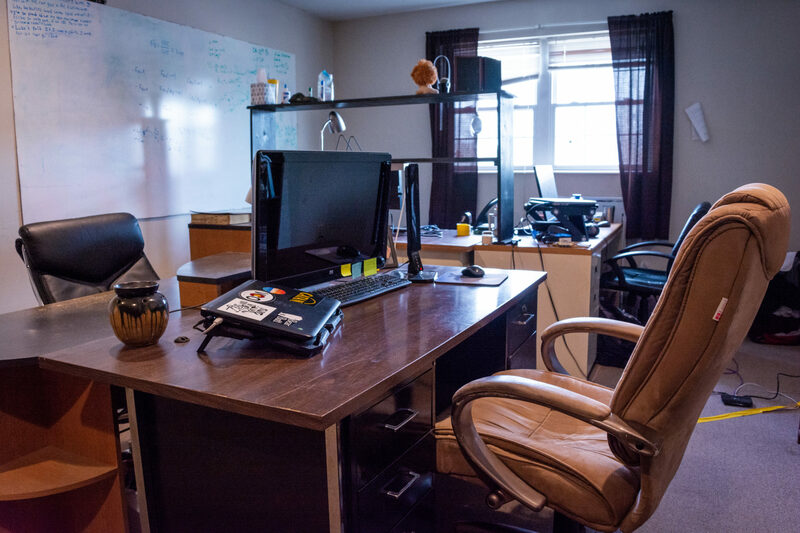 While the bedrooms are restricted to men only, the house also provides common areas such as a kitchen, lounge, game room, TV/Music room, and other areas that are open to everyone until 1 am. Occasionally, the residential areas are opened up for anyone to visit during the day, otherwise known as Open House Hours. This is a great time for each room to host families and friends from out of town or in the local community. 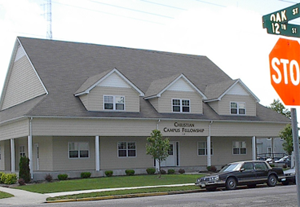 The CCH is located just one block east of campus, two blocks south of the WCCH, and within walking distance of downtown Rolla, a couple city parks, and several restaurants such as Alex’s Pizza, Soda and Scoops, and the famed O’ Doggy’s. The CCH allows all residents to bring a vehicle. The CCH has some parking behind the house and a secondary lot called “Alaska”, just half a block away. There is also parking available on the public streets surrounding the house. All parking is on a first come-first served basis, but there is generally plenty of space to park your car. If you don’t have a car, don’t worry. There are plenty of guys that do and would be willing to take you anywhere in town whether it be Walmart, church, or somewhere on campus. All residents are required to be on our CCH in-house meal plan. According to campus rules, students with under 60 credits are required to be on a full meal plan while those who have completed over 60 credits can opt out of breakfast and lunch but must at least be on the dinner meal plan. See the meal plan price sheet for more information. 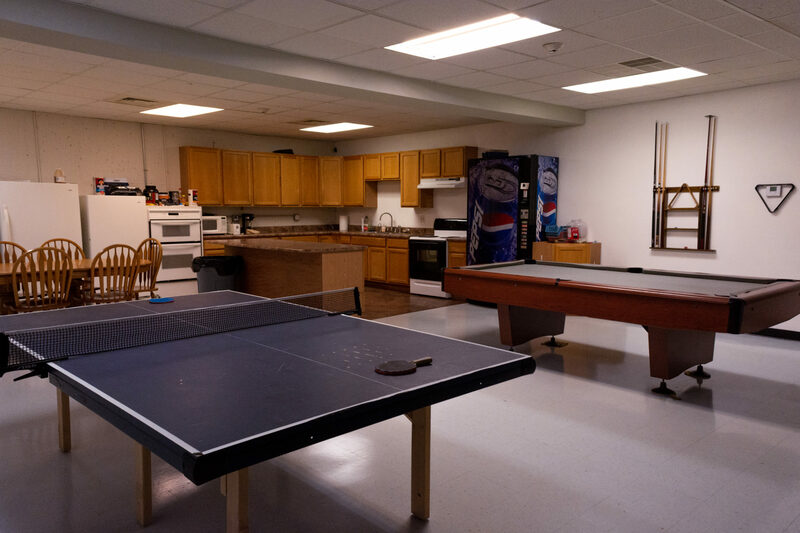 We do have some fridge and freezer space as well as cabinet storage in our basement kitchen area for residents to store and prepare food of their own. Attend weekly church services at the local church of their choice. Participate in a weekly CCF Small Group Bible study. Attend and participate in the weekly Thursday CCF meeting, Catalyst. Complete weekly house chores in a timely and thorough manner. Attendance one house retreat each semester. Partake in room meetings once a week. Attend all mandatory house meetings, the first Monday of each month. Each room is set up differently. The Roommates decide what their room layout will be. Offices on the left, Kitchen behind the brown wall, TV and Rec room downstairs.